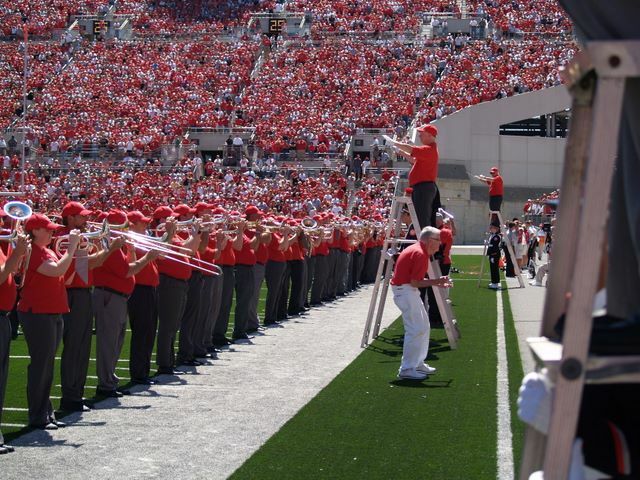 All persons who have been carried on the "official roster" of The Ohio State University Marching Band are considered Members of the TBDBITL Alumni Club. "Members in Good Standing" are Members who have paid their annual dues, or are 65 or older (Life Members). Dues forms are mailed to all Members in January. Members are encouraged to return their forms and dues payment at that time in order to help support the operations of the club, and to help us keep our records up to date. All Members participating in the Annual Reunion are required to be Members in Good Standing. Please make sure that the club has your latest contact information, including postal mailing address and email address. Please email any information updates directly to postmaster AT tbdbitl DOT com (do not forget to indicate who you are when sending the email message). Any other general membership questions should be sent to vicepresident AT tbdbitl DOT com. All TBDBITL members are encouraged to join the Ohio State University Alumni Association. Click here to find out more about joining OSUAA.